Each month, our Roastmaster (Jacob Long) and Roastmaster Emeritus (Paul Katzeff) will select special coffees exclusively for members of this monthly coffee club. These special blends and single origins will showcase our most exciting new coffees of the moment for you to enjoy. 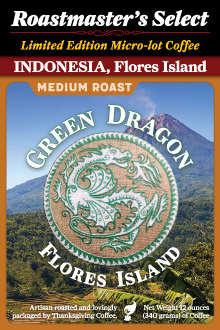 It takes a certain spirit of adventure to embark on this coffee journey. To step into the unknown and welcome a mystery coffee each month is exemplary. Those who venture with open minds will not be disappointed by the wonders they discover. These are truly special coffees. 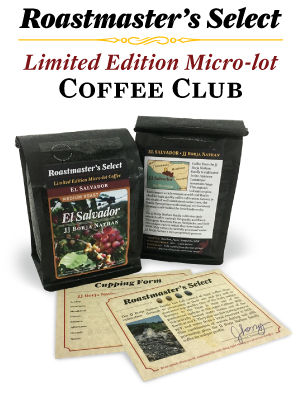 Each one from a micro-lot that has been carefully selected by our Roastmaster, and then expertly roasted to reveal the unique flavor within. 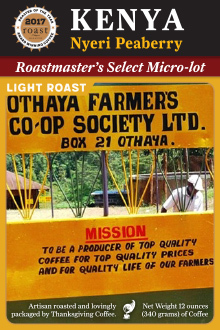 As a Roastmaster's Select Monthly Coffee Club member, you have exclusive access to these coffees. 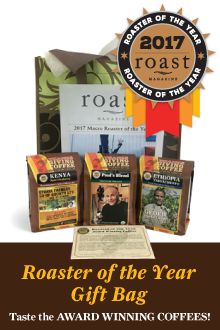 We will send a box containing two 12oz bags of the month’s Roastmaster's Select to your doorstep every month, starting on the date that you signed up (i.e. January 12, February 12, March 12…). We will bill your card monthly on that date, and you can cancel or postpone delivery at any time by giving us a call. Choose your preferred grind and membership length in the options above, and continue receiving limited-edition coffee for as long as you like, at the same time every month. *Please note that if you sign up near the beginning or end of a month, there may be a slight adjustment on when your coffee is sent - there may be a two to three day delay on your shipment. Please give us a call at (800) 648-6491 for any questions regarding your subscription. 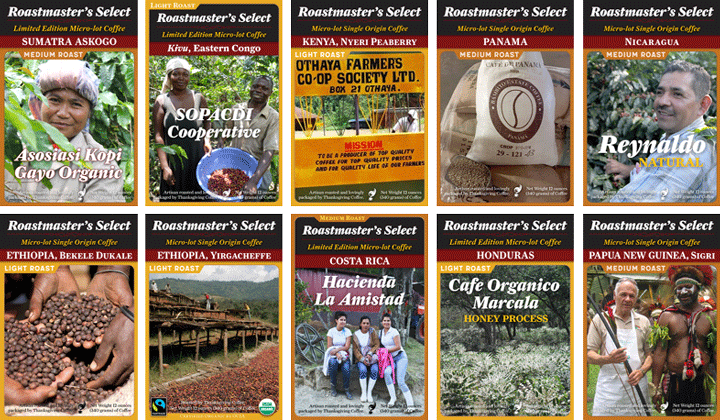 Above are a few examples of past monthly coffee sends from our Roastmaster's Select Coffee Club. Each is an exciting and unique look into the country of origin, and an adventure for your palate. Don't miss out on our next send, sign up today! From Toni Loughridge of Dos Palos, California on 11/2/2017 . The support you give to the growers is what the world needs now. Thank you so much. By the what, the coffee is the best. I will continue to support you. Our country must show we care, even if some in power do not.